Prehistoric foragers, conquistadors, missionaries, adventurers, hunters, and rugged agriculturalists parade across the histories of these little-known islands on the horizon of twenty-first century Southern California. This chain of eight islands is home to a biodiversity unrivaled anywhere on Earth. In addition, the Channel Islands reveal the complex geology and the natural and human history of this part of the world, from the first human probing of the continent we now call North America to modern-day ranchers, vineyardists, yachtsmen, and backpackers. Not far below the largely undisturbed surface of these islands are the traces of a California that flourished before historical time, vestiges of a complex forager culture originating with the first humans to cross the Bering Land Bridge and spread down the Pacific coast. This culture came to an end a mere 450 years ago with the arrival of Spanish conquistadors and missionaries, whose practices effectively depopulated the archipelago. The largely empty islands in turn attracted Anglo-American agriculturalists, including Frederic Caire Chiles's own ancestors, who battled the elements to build empires based on cattle, sheep, wine, and wool. Today adventure tourism is the heart of the islands' economy, with the late-twentieth-century formation of Channel Islands National Park, which opened five of the islands to the general public. 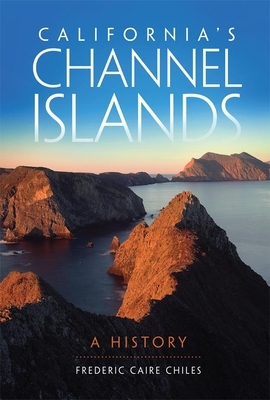 For visitors and armchair travelers alike, this book weaves the strands of natural history, island ecology, and human endeavor to tell the Channel Islands' full story.